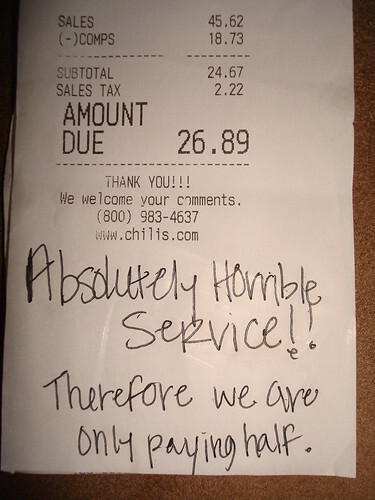 It was a the peak of the lunchtime rush, explains our submitter, a waitress at a busy Chili’s restaurant, and these customers made it clear early on that they weren’t happy with their meal. 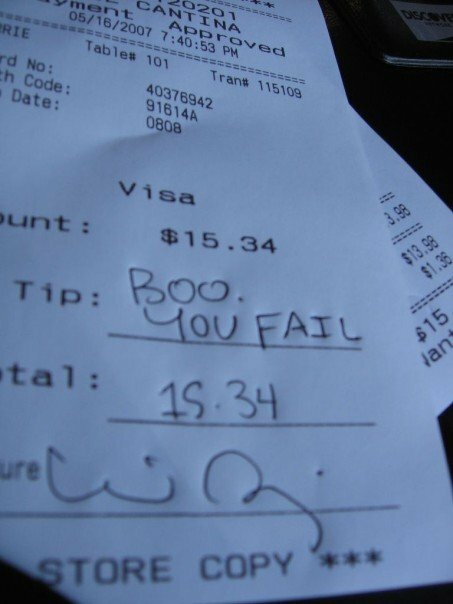 As you can see from the check, she says, “My manager already comped $18 dollars worth of food that they complained about” — not to mention that when the entrees were remade (for free), the customers ate every last bit — and enjoyed a free dessert as well. 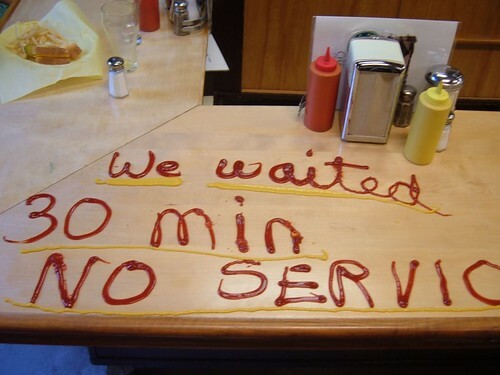 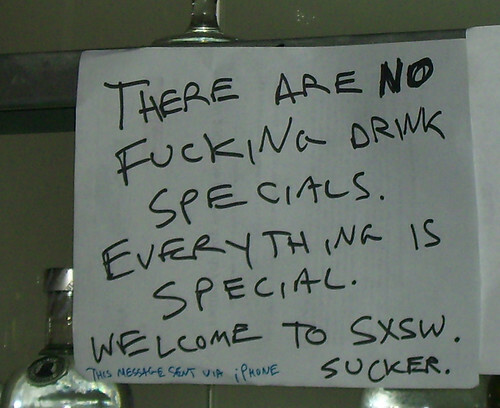 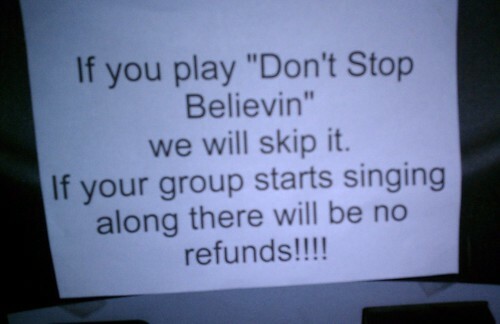 Meanwhile, this customer’s approach (as submitted by Thomas in Palo Alto), is just bad form. 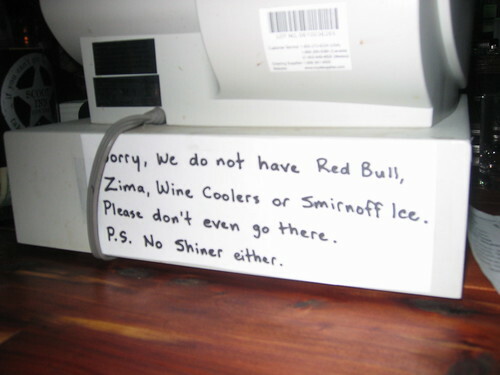 Homophone fail! 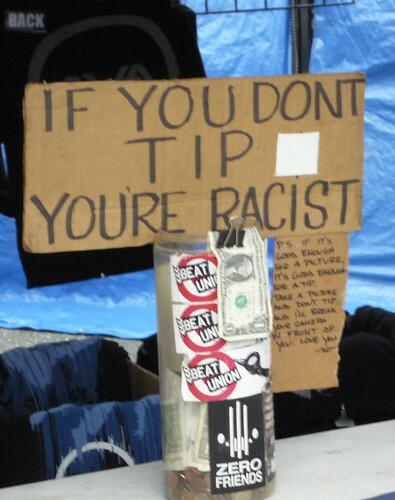 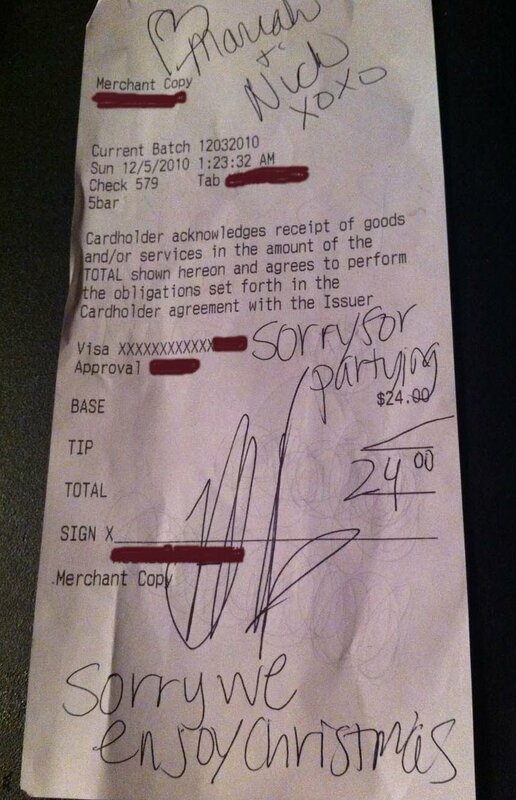 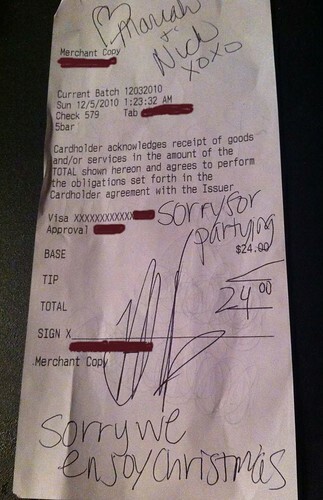 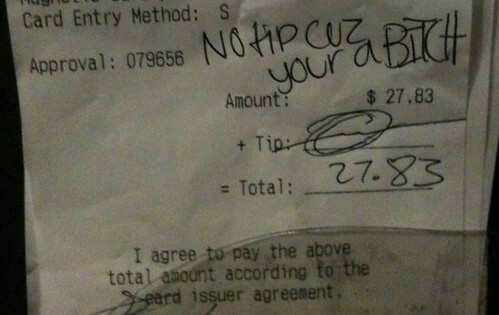 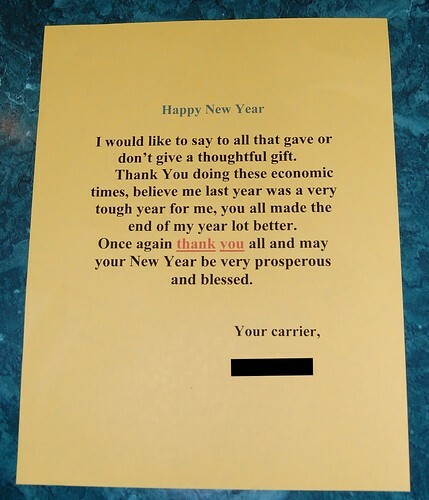 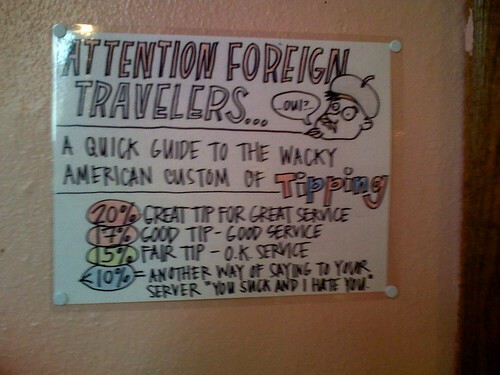 May your New Year be very prosperous…so you can tip me better next time. 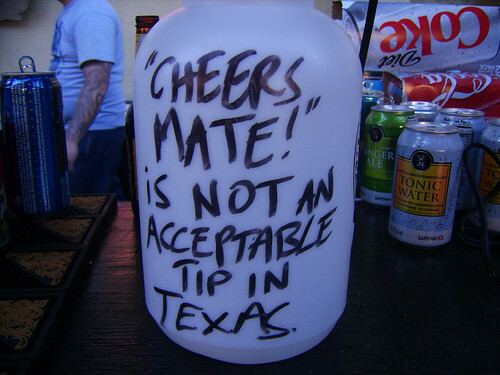 While you were drunk-texting your latest Eugene Mirman sighting to all your pals, more industrious folk like Bryan from Minneapolis, Betsy from L.A., and Adele from Montreal were documenting the comedic gold being served up by Austin bartenders. 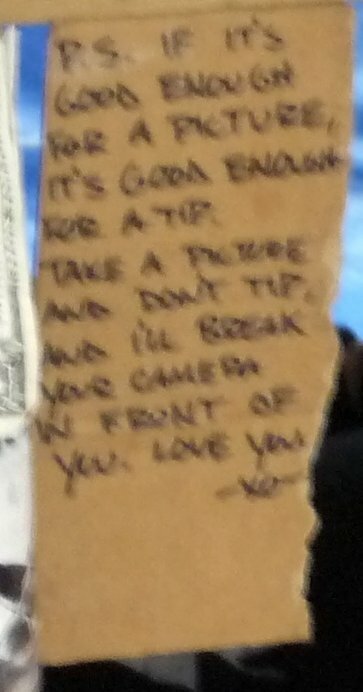 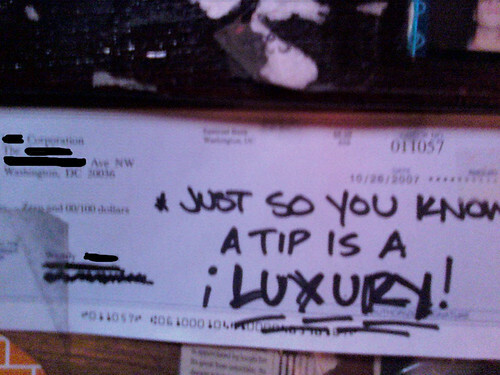 At the Washington restaurant where Scott works, a customer recently informed one of his coworkers that when she was a waitress back in the day, tips were regarded as a luxury (a sentiment that’s been echoed by many commenters on this site).